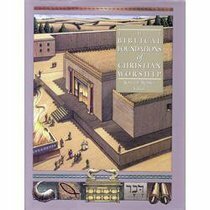 "In an extraordinary way, "The Biblical Foundations of Christian Worship" is a massive and comprehensive undertaking designed to provide the biblical context out of which worship is celebrated and enacted. It establishes the working definition for worship through the specific vocabularies of the Old and New Testaments and highlights the use of symbolism, sacrifice, a sense of the numinous, and the myriad of responses to salvation history. It culminates with the history of Israelite/Jewish and New Testament worship, the biblical institutions of worship and those who lead in its celebration, and then reaches its zenith with the depiction of the use of music and art in its varied forms and other sacred acts which are integral parts of the worship tradition. "^" Richard A. Rollins, Liaison Officer, National Baptist Convention of America, Inc.
About "Library of Christial Worship Book 1"
Robert E. Webber (1933-2007) was Myers Professor of Ministry at Northern Seminary in Lombard, Illinois, and served as the president of the Institute for Worship Studies. His many books include in five vomes in the Ancient-Future series: Faith; Evangelism, Divine Embrace, Time & Embrace, Worship is a Verb and The Younger Evangelicals.